Edit: At the Melbourne Grand Prix yesterday Toro Rosso driver Jaime Alguersuari collided with first team-mate Sébastien Buemi and then former No.1 Michael Schumacher early. Schumacher's car was seriously damaged but Alguersuari went on to finish 13th. The rules about probationary drivers and high-powered cars are contained in Part 2 Division 6 of the Road Safety (Drivers) Regulations 2009. 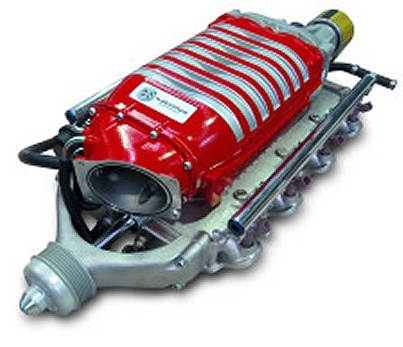 (e) has a modification declared by the Corporation under subregulation (4)(b) to be a high powered modification. The penalty for driving a banned vehicle is 10 penalty units, but there may also be consequences on insurance claims or associated charges (for example, involving negligence). Regulatory declarations make the process more complicated than just popping the bonnet or looking at the rego details. 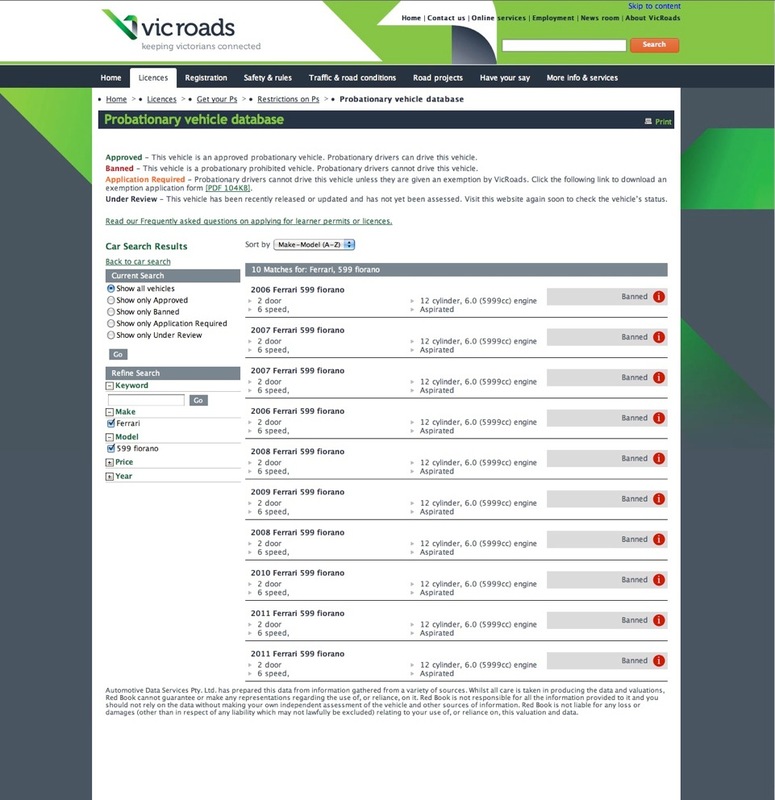 Most casual road users aren't going to find their way to Victoria Government Gazette S518 where a list of cars are either exempted or included in the banned list (does anybody know why there is a list of specific registrations that are exempted? 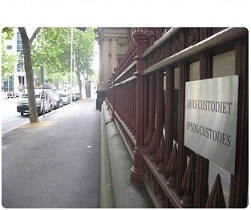 ), or Victoria Government Gazette S397 that does the same thing. 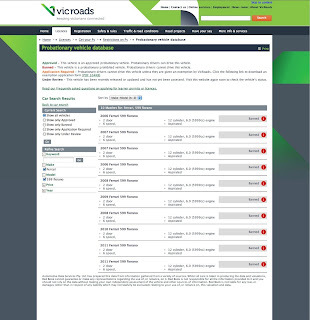 There is a search function on the VicRoads website that advises whether or not a particular car is on the banned list. 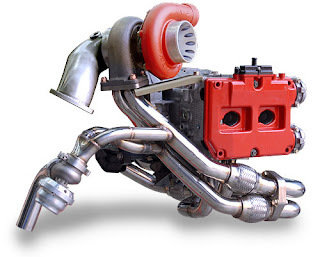 Since 2009 there has been a new classification of lower performance turbocharged or supercharged vehicles. Probationary drivers are allowed to drive these but only if they have a specific exemption and carry it with them when driving the car. * turbocharged or supercharged with a power to weight ratio between 100kW and 125kW per tonne and that is considered to be a family type vehicle (4 seats or more) rather than a sports type vehicle. A family type vehicle is a sedan, station wagon or hatch normally used to carry families/passengers with 4 or more seats and are equipped with child restraint anchorages. A family type vehicle does not include a sports car (two door coupe). The cars which fit into this category return a response of 'Application Required' on a VicRoads search. The application form is here. Regulation 57(4)(c) allows VicRoads to authorise a probationary driver to drive a banned vehicle if the nature of that person's occupation, essential activities or family circumstances is such that compliance with the regulation would impose undue hardship on the person or the person's family. And no special permission is necessary if a probationary driver is using a vehicle in the course of his or her employment and at the request of his or her employer, or in the course of his or her ABN-registered business or to or from the workplace of that business: r 57(2)(a)(i) and (ii). Why do the safety crew look like X-wing pilots?